World War I Bridges - WW1 Centenary from the river Piave: Art masterpieces during the Great War: the restoration of Antonio Canova's "Dancer with cymbals"
Art masterpieces during the Great War: the restoration of Antonio Canova's "Dancer with cymbals"
We all tend to give prominence to the Second World War when we think about the destruction of art masterpieces or about the art plundering (especially the one committed by Nazis, a frequent movie motif). But we may discover again an important chapter that deals with the art masterpieces' destiny during the First World War. 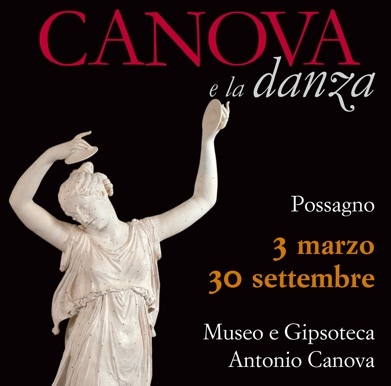 Take as example Antonio Canova, probably the greatest sculptor of all times along with Fidia, and the "Dancer with Cymbals", patrimony of the Berlin Bode Museum. The marble statue was extensively damaged during the Great War by the Austro-Hungarian shellfires coming from the really close war front. The arms and the cymbals were destroyed. Thanks to a procedure called "reverse engineering" and thanks to the combination of this procedure with the Possagno "gesso" (the model mould needed for the final artwork), a full restoration was eventually possible. You can admire the statue (and maybe start your journey through the effects of all wars on art masterpieces) in the museum dedicated to Antonio Canova in Possagno, his home town in Italy.